Polk County Sheriff’s Office detectives are asking for the public’s help in locating a missing Mulberry teen. 15-year-old Yesenia Flores Gomez, 05/27/1997, Regal Loop Road, Mulberry, was last seen on at 8:00 am, on Tuesday, March 5, 2013, when her mother dropped her off at School. The school administration advised she has not been at school since March 1, 2013. Yesenia sent her mother a text message at 2:30 pm, on Tuesday, March 5, 2013 stating she “was ok,” but would not be coming home. 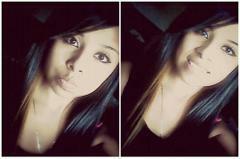 Yesenia is 5’0", weighs approximately 125 pounds, has brown eyes and black hair with a blonde streak. She was last wearing a white jacket with blue sleeves and blue pants. Yesenia is possibly in the company of 20-year-old Rogelio Gatica Diego (DOB-09/04/1992). Diego is believed to be driving a 1999 BMW 325I gray in color bearing a Florida tag # 648TZV. Diego has a suspended license. Detectives are concerned for Yesenia’s safety and urge anyone with information regarding her whereabouts to contact Detective Consuelo Gallegos-Bias at 863.298.6913, or 863.298.6200.